Throughout the season, you will be able to find our kale, garlic, sweet peppers, eggplants, basil, and cilantro at Dandelion Foods. 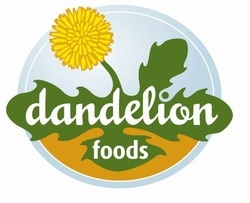 Dandelion supports local growers that use organic practices. Want to get a taste of Dandelion? Check out their video, What is Food. Their campaign has ended, but this will still give you a great sense of who Dandelion is. You'll also get a peek at the farm!